Thanks "Serge L" here I did it. I want to show the solution with picture so that if anyone else have this problem it help them as well. 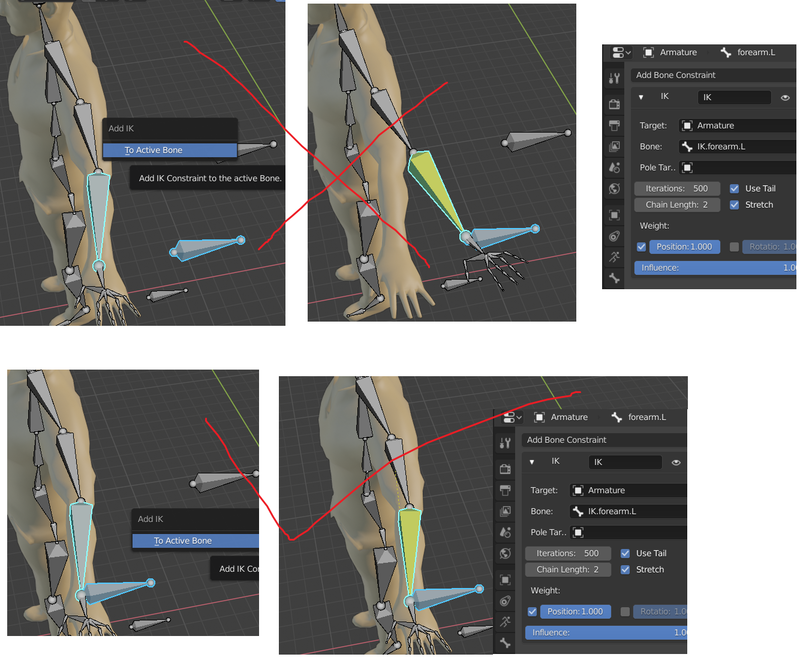 When I created my IK bone, I deformed it and also cleared parent but mistakenly moved it away from armature, that was the problem. so as you can see from the picture below, you should extrude a new bone, deform it and clear parent then add ik, but be aware to not move it from its place. Not the answer you're looking for? Browse other questions tagged rigging armature bones rigify inverse-kinematics or ask your own question. Why is my foot mesh moving out of place when rigging?